I gave up social media for a few days. That was my sacrifice for lent. No Instagram or Facebook. It was pretty hard since it's almost second nature to me to just pick up my phone to check the latest feed. Several friends of mine went on a total shopping ban during this period. According to them it was extra hard because of the whole "the more you can't have it, the more desirable everything is" thing. Good news for them and for you. 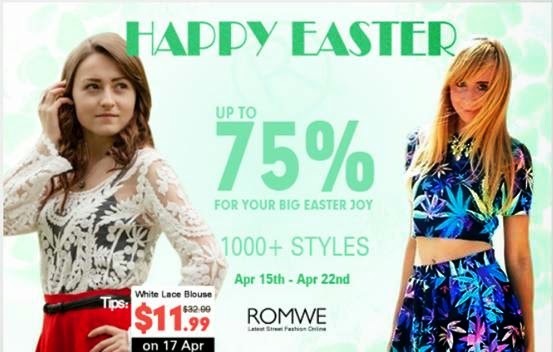 ROMWE has prepared a truly Happy Easter Day sale where more than 1000+ items are on sale at up to 70% off! Now's your time to let loose after being depraved for such a long time. Let loose and save at the same time since everything included in the sale is now ridiculously cheap. Now's the time to shop all your summer essentials. Take advantage of the extra discount coupons plus free shipping worldwide. 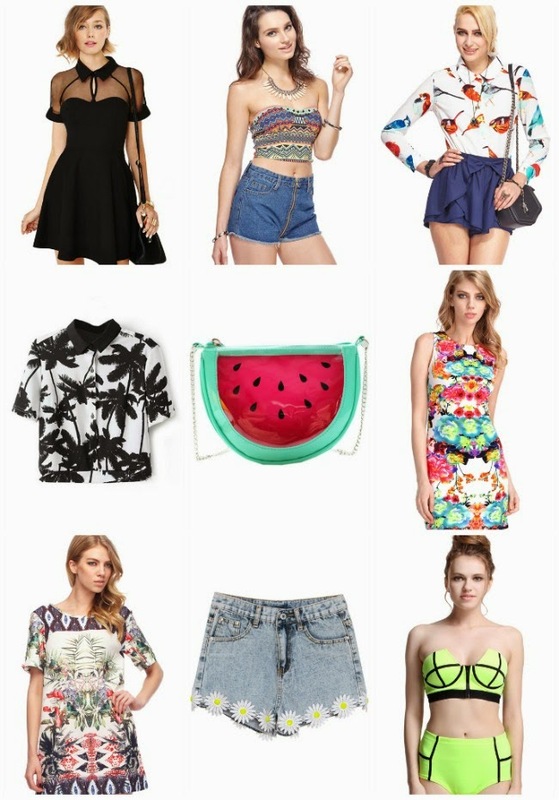 Check out ROMWE's HAPPY EASTER SALE here! Hurry sale is only til April 22 and stocks are limited. And while you're there, make sure you don't forget to check out the gorgeous white lace blouse, use the code: 10offwhitelace for an extra 10% off! What a cool idea first time that i saw a shirt with an expiration date.